There are pros and cons to buying these Timberland PRO Men's 85520 TiTAN Brown Trekker Waterproof EH Alloy Toe Boots. On the PRO side, you can depend on them to hold up in rough weather and tough working conditions. For instance, on the outside, the Worchester Ranc ... (see full details) (see specifications) #TMBTB085520214. There are pros and cons to buying these Timberland PRO Men's 85520 TiTAN Brown Trekker Waterproof EH Alloy Toe Boots. On the PRO side, you can depend on them to hold up in rough weather and tough working conditions. For instance, on the outside, the Worchester Rancher full-grain leather uppers are abrasion-resistant and waterproof. 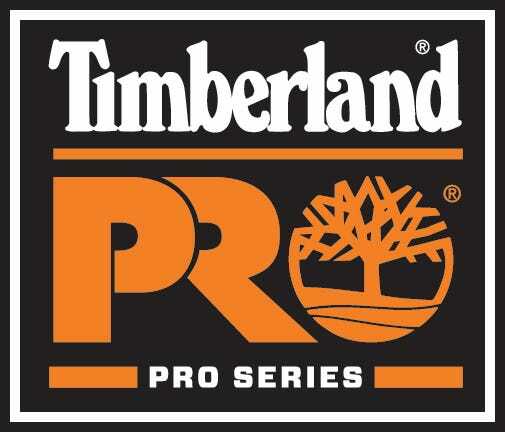 These Timberland PRO boots were made using the PowerFit System and are backed by a 30-Day Comfort Guarantee. The Timberland PRO Rubber Outsoles on these EH boots provide high surface contact and a Ladder Lock Outsole Radius for stability whether you’re walking or standing still. They’re also slip-, abrasion-, and oil-resistant. The molded EVA midsoles on these slip-resistant boots provide lightweight cushioning for comfort. The nylon diffusion shanks provide structural support. These waterproof boots were made using cement construction.They also provide electrical hazard protection. On the inside, a waterproof membrane and moisture-channeling spacer mesh comfort lining add more protection to assure that your feet stay dry in these safety toe boots. The contoured open-cell polyurethane footbeds with Outlast Adaptive Comfort technology provide moisture management and regulate temperature, while the antimicrobial lining helps to prevent the growth of mold, mildew, and fungus. The ASTM-approved TiTAN alloy safety toes on these antimicrobial boots are 50% lighter than a traditional steel toe cap, yet offer the same rugged protection against impact and compression injuries. These 85520 Trekker Boots feature 360 degrees of lightweight comfort and soft leathers to minimize break-in time. So what’s the down-side to having these Timberland PRO 85520 TiTAN Trekker Waterproof EH Alloy Toe Men's Boots? You’ll probably never have to miss work because of inclement weather. I have these Timberland boots and am very pleased. I love the Titan alloy safety toe. My feet are not only comfortable but protected during a long work day. These are the most confortable and lightweight boots I've ever owned, and I've owned about 20 pairs of work boots. They're durable and after a short break in time fit perfect for narrow to medium feet like mine. Great Boots!! 9 out of 11 people found this product review helpful. I work 12hr shifts and walk about 6 miles in an average shift. I chose these boots because the last pair of Timberland Pros (Titan Lace-to-Toe) I had were great. I kept them so long the soles had worn through. These have been a different experience. They started out stiff and unforgiving, but gel insoles helped. Then, after about 4 months, they started causing foot and knee pain during long days. After the 6 month mark, I am shopping for new boots. They have held up ok, but they are not supportive or comfortable enough for as much walking as I do. Love these! I've had my first pair for several years and they are the most comfortable shoes I own. I was glad to see they have been improved in a couple areas. My first pair had a sewn seam on the side with poor threading, mine rotted away in a few weeks. The new ones have solid leather all over. Hope they're just as comfy! Great shoes!! The boot is heavy, but feels light when you walk in them. Recommend for wear and tear. These Timberland Pro boots are good for walking and feels great after a long day on your feet. Very hard to find at the store. Hi, thanks a lot for taking care of this for me. You guys are the best! I'm an electrician on a large job site and I plan on telling all of the guys about your website... your prices and service are unbelievable! Timberland PRO Boots: Men's 85520 TiTAN Brown Trekker EH Alloy Toe Boots is being added to your cart.